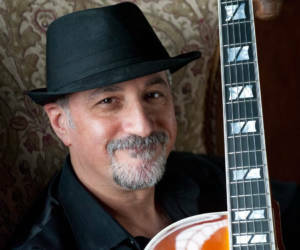 The Montclair Music Studio is proud to introduce Guitar Instructor Larry Maltz, Faculty Member Since 1978. Larry is Accepting Students on Mondays, Tuesdays & Saturdays. Born in East Orange, raised in West Orange, Larry has always had a love of teaching and connecting with people. Larry’s favorite method books depend on his student. Larry teaches all ages from 6 to 96, and most often recommends Hal Leonard’s Guitar Method 1, along with the Berklee series. Larry is always searching for the right book for each student and has a vast understanding of musical styles. Clarinet from age 9-16. Started guitar at 13. Also mandolin, bass, and fiddle as a teen. My mother sang professionally. My brother plays guitar and piano. Are you part of any extracurricular organizations or music clubs? I am associated with Beacon Hill Musician’s Guild and NJ Jazz Society. Bass, Mandolin, Ukulele, and some fiddle. I have played a great many places in NJ and NY…as a touring musician I have worked in many venues in Las Vegas, Lake Tahoe, Detroit, Pittsburgh, Atlanta, Boston to name a few. Currently, I work at many restaurants, The Black Horse, Trumpets, M.E.A.L, along with many private parties.